Our sedentary routines and long work hours have made it increasingly difficult for us to adopt and maintain healthy lifestyles. Committing to a more active regime involves considerable investments in time and money, with no immediate foreseeable benefits. Fortunately, the advent of wearable devices and mHealth is changing healthcare practices by paving the way for a new genre of products centered on the ‘gamification’ of health. First and foremost, what is ‘gamification’? Essentially, gamification occurs when the techniques, mechanics and style of game-design are applied to non-game applications in order to solve problems in a fun and engaging manner. Measured goals: A user works towards a specific goal (or goals) that acts as a beacon. The sense of accomplishment in achieving the said goal is a driver for the user. If the goal is established as a community-level milestone, then the element of working with peers enhances the user’s morale. Competition: Most games promote the spirit of competition. They drive a user to do better and achieve more with each subsequent effort. A user’s accomplishments may be displayed publicly for recognition and can serve as a model for other individuals working towards similar goals. Rewards: Goals and competitions must be coupled with rewards if optimal outcomes are to be achieved for both the users and the game. Rewards can take numerous tangible and intangible forms. They may be presented as badges, medals, prize vouchers, virtual cash or even real cash. While setting up gamification scenarios, the game administrators will select the community based on the type of objective being gamified. Special categories will be defined for active users, such as users working towards weight loss or users that fall under the category of the elderly. Innovations in interface technologies, such as gesture control in Kinect for Xbox 360. Given these trends, health companies such as UnitedHealth Group (UHG), Aetna, Humana and Kaiser Permanente have shown a significant interest in using mobile platforms for gamification. In fact, an estimated 63% of employer-sponsored wellness programs feature elements of gamification/competition, and 24% are interested in offering such features. Research shows that this interest is most likely because Americans are now eager to own health technologies. Today’s market readiness for gamified health proves to be the ideal environment for Playpal, a health platform that uses the intrinsic motivation of gamified health and the extrinsic reward of monetary benefits to prompt healthy behaviors in users. 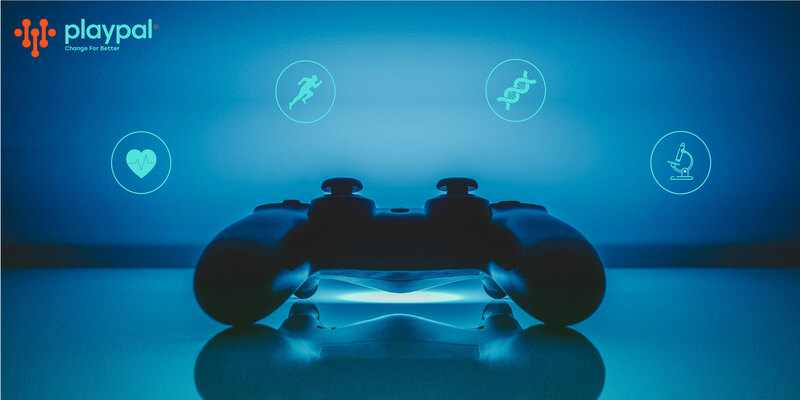 Not only does the platform feature several goal-oriented design elements, but it also cultivates an ecosystem of health games by consolidating IoT health data from apps and devices. In addition to using artificial intelligence and machine learning to offer users individualized recommendations and a holistic picture of their health, the crux of Playpal is to empower individuals to take control of their health.